ETA: Welcome to all the visitors from eighteen25!! 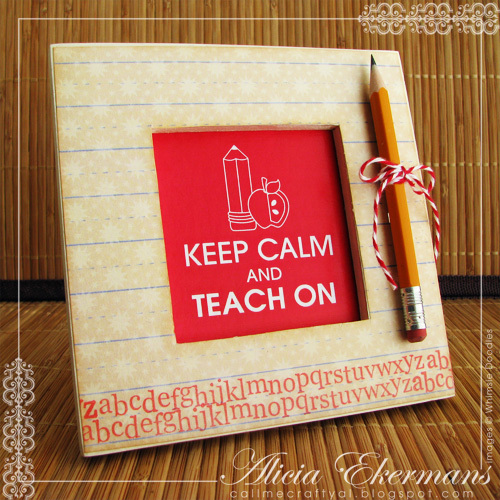 As a special offer, since we are coming up on Teacher Appreciation week, you will receive the PDF artwork for the above frame (Keep Calm and Teach On) for FREE if you purchase the digital stamp set it was created with: School Goodies. Your files will automatically come zipped together with the digital set and extra artwork file. For the new Whimsie Wednesday Challenge (WWC66), Nikki's challenge theme is 'Head of the Class'. She wants you to create a 3D treat for classmates, co-workers, or friends!! I used Whimsie Doodles' School Goodies digital stamp set and created the altered frame shown above. Lately I have seen lots of prints, posters, etc. online that use the 'Keep Calm and Carry On' phrase, and there are also many variations. Since this week's challenge has a school theme, I thought I would make a teacher-related version. I used the apple and pencil from the digital set and created the 2.75" square artwork in Photoshop. For the frame itself; which measures about 5" square, I painted the edges with an eggshell color, trimmed a piece of patterned paper to fit the front, then stamped a couple alphabet strips in red across the bottom. This helped to tie in the red from the art and added a little something extra to the front. Make sure to check out the challenge post at the Whimsie Doodles blog to find out how you can play along and WIN some Whimsie Doodles goodness! And now a SPECIAL OFFER for fans and readers of my blog: Use the coupon code below (ALICIA10), the next time you shop at the Whimsie Doodles Online Store and receive 10% OFF your order! So cute. Love the pencil and bow! I love it!!! What a fabulous project!! This is absolutely perfect for a teacher! I wish I had your daughter in my class so I could receive one! would it be possible for you to post your download for this to share? it is so cute! i love it!! LOVE IT. LOVE LOVE LOVE LOVE LOVE IT! Perfect for the new teacher, the veteran teacher, the HIGH SCHOOL MATH TEACHER (hint, hint). I love this! 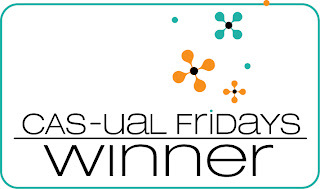 I featured it on my blog today. Thanks!